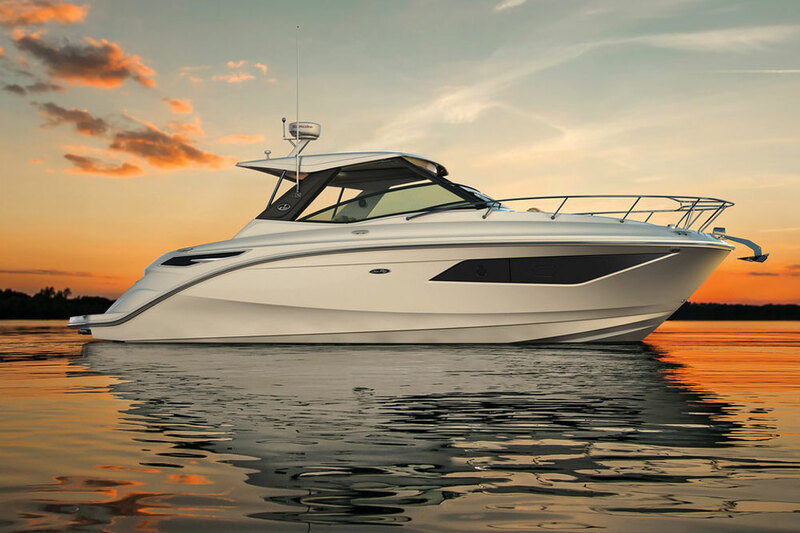 Combining express cruiser styling and solid performance, Sea Ray's 300 Sundancer is a good example of a luxury sport cruiser. 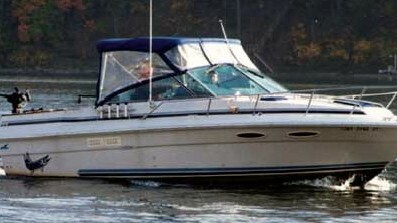 The wide beam allows a spacious interior as well as ample cockpit space. The cockpit has a U-shaped seating area aft with a table that converts the area into a large sunpad, while a wide helm seat easily seats two. 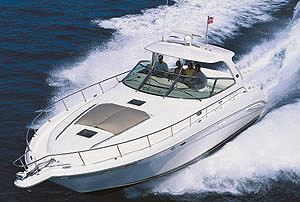 The cockpit is protected by a Bimini top, and an aluminum radar arch is standard. 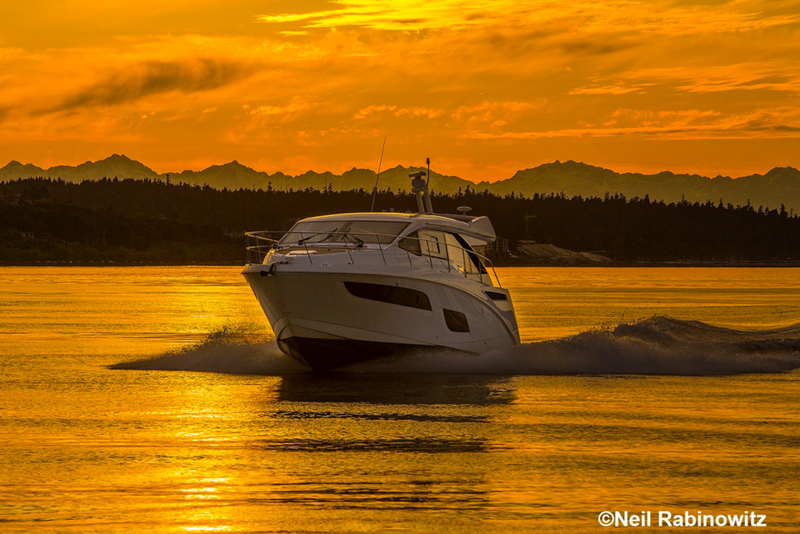 The Sea Ray 300 Sundancer was - and is - an incredibly popular model. 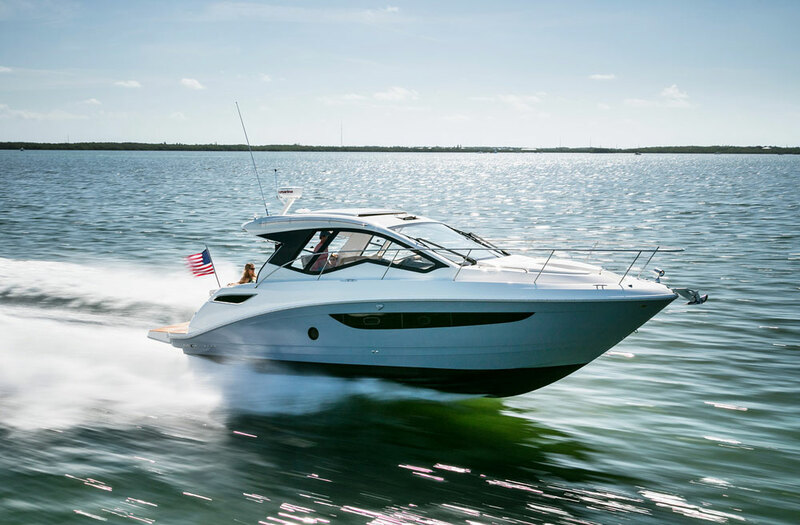 Below, the 300 Sundancer has a large V-berth forward with privacy curtain, and the enclosed head includes an electric flush toilet and stand-up shower. 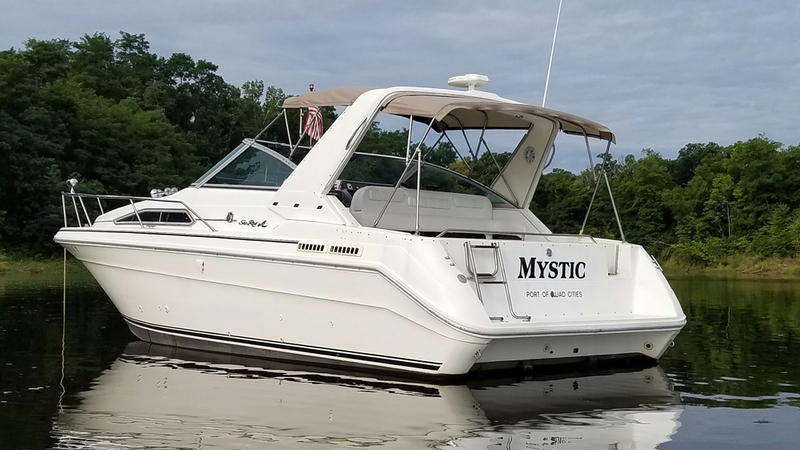 Two dinette arrangements are available, and the galley is a compact fiberglass module with two-burner electric stove, microwave oven, dual-voltage refrigerator and pressure water. Aft, a sunken conversation area converts into a private stateroom with privacy curtain. 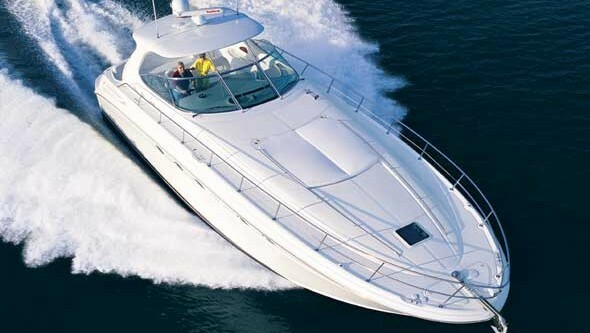 Standard power was a pair of 5.7LX MerCruiser 210 HP stern drives, with Bravo III counter-rotating drives, giving a top speed of 48 MPH. 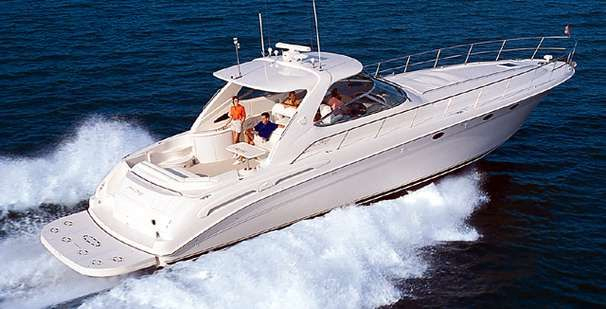 See listing for Sea Ray 300 Sundancers of all ages. Editor's note: this article was updated in July of 2017.